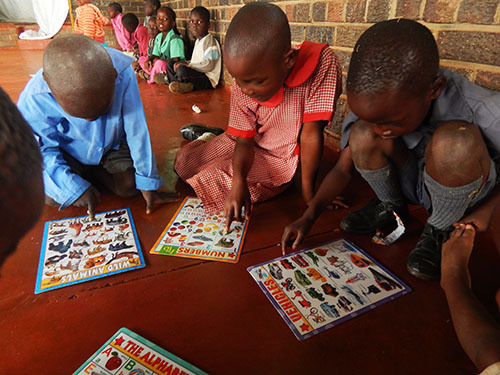 Pray that the continuing times of political uncertainty would not hamper the efforts of Viva Zimbabwe as it connects 230 churches and organisations to work with 35,000 vulnerable children in Harare. 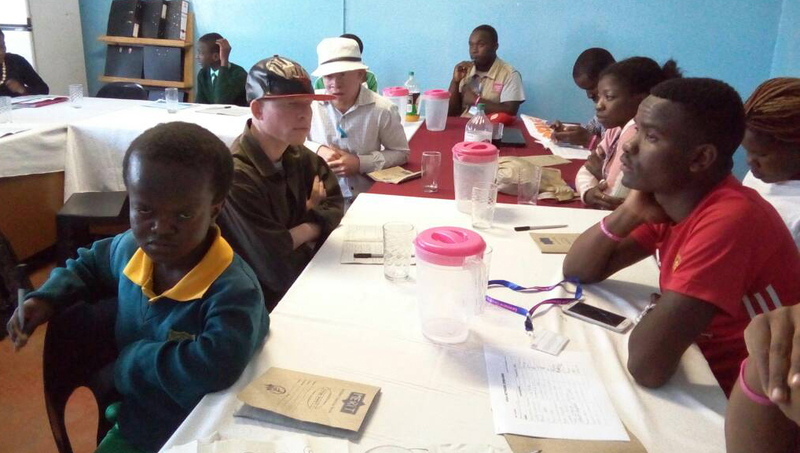 One of their programmes is equipping young people with disabilities to teach their peers about sexual and reproductive health in order to prevent the spread of unwanted pregnancies as well as HIV and other sexually transmitted diseases. Pray for the 20 youth ambassadors who have been trained and have reached out to over 250 other young people. Poverty, abuse, and cultural practices are preventing a third of girls in Zimbabwe from attending primary school and two-thirds from attending secondary school. For children who are at school, only a third of students pass primary leaving exams. Viva Network Zimbabwe is running eight Learning Support Centres for 160 vulnerable children in Harare to provide ‘catch-up’ lessons on literacy and numeracy, plus sports and counselling. Pray that these children would grow in their abilities and in confidence, and that they would feel safe and supported. Pray too for continued energy for the teachers. 2nd Chance Rehabilitation Centre in Bulawayo, Zimbabwe was born in the mind of John Derk whilst he himself was serving a 15-year jail term. During this time he observed a vicious cycle of inmates leaving the prison only to be back within a very short space of time. He realised how severed relationships with families and communities meant homelessness and an inability to find employment. John established 2nd Chance in 2009 to offer training in tailoring, carpentry, agriculture, and arts and drama to those leaving prison, as an alternative to returning to crime. Pray for the trainees to receive the Lord as Saviour and go on to be responsible members of society. For children in Chikurubi Maximum Prison, life is grim. Days are spent in hard labour under the sun, or if their mothers are sentenced to solitary confinement, in a small, dark, dirty cell. Children born into prisons often pay for the crimes of their mothers. Prison Fellowship Zimbabwe has started an initiative to care for these children. A new day care centre in the prison provides healthy food, clean clothes, basic education and a safe place to play. According to law, children cannot stay with their mothers in prison beyond their fifth birthday. PFZ tries to relocate children by reconciling them with their families, but many still end up in children’s homes. Pray that God will bless this life-changing ministry. Imagine being a child growing up in Zimbabwe today. If you go to school, then you are among the privileged 20% who have this opportunity. If you suffer from any kind of mental or physical disability, there is a very high chance that you will never have access to an education. There is also a one in six chance that you will have lost your parents to AIDS, meaning it is probably difficult for you to get access to medical care, regular nutritious meals and maybe even a safe place to sleep. Thankfully, we believe in a God who can change the lives of Zimbabwe’s children! Pray particularly for the ministry of ‘bridging schools’ that are working to provide education and learning resources to children of all ages and backgrounds, particularly those who have been out of school for a while and need extra help to catch up. The average life expectancy for a woman in Zimbabwe is around 34 years. This is mainly due to the prevalence of HIV/AIDS in the country - around one in seven people are known to be living with the disease. According to Unicef, Zimbabwe also has the highest proportion of orphans of any country in the world. Many orphaned children take on the responsibility of caring for their younger siblings. There is still great reluctance to be tested for HIV, partly due to the severe discrimination and stigma that still exists and also to the lack of anti-retroviral drugs (ARVs) that are available. Pray for organisations seeking to increase awareness of HIV/AIDS, particularly among young people, as well as those caring for orphans and supporting child-headed families.